Bluetooth headset is a convenient way to talk. While it can be used with mobile phone and computer to communicate via the Internet. But it requires proper configuration. If you need to connect bluetoothheadset to mobile phone, follow these steps. Turn on both devices and turn bluetoothheadset in search mode. Depending on the manufacturer and model to do different actions. This usually requires you to simultaneously hold a button to answer the call, and the wheel is responsible for volume control. But better check the instructions for the headset as to translate it into search mode. When properly enabled, will blink the corresponding led. Next, turn on the phone's bluetooth mode. To do this, open the menu and select the appropriate option. It is often called "Connectivity". After that select responsible for detecting new bluetooth devices. After completing this process on the phone screen you will see a list of discovered devices. Select the item that fits your bluetooth headset. When prompted, enter the code digits specified in the instructions. Usually it is 0000. If you need to connect bluetoothheadset to computer for Skype, follow these steps. Switch the headset to discoverable mode. Then run the software on your computer to search for bluetooth devices. If you have a shortcut to "my Bluetooth places", click on it, if not, right-click the mouse on the blue brand bluetooth icon in the system tray (near the clock) and select "Open bluetooth places" or "Add a device". Make the process of pairing bluetooth devices. Now, you must start and configure Skype to work with the headset. Go to your account settings: Tools –> Options –> Sound Devices. In the fields of Audio In and Audio Out select Bluetooth Audio. Before the beginning of the communication, activate the bluetooth connection between the computer and the headset. To do this, open "my Bluetooth places" and double click on the headset icon. For the headset to work with the computer needs a bluetooth adapter. If you have ever purchased or used a Bluetooth headset, then I thought about the fact the connected devices not only to your phone or your MP3 player, but also to the computer. This connection will not cause you trouble, because the headset can be connected to the computer through a Bluetooth adapter. About how it can be done, read on. Bluetooth headset, Bluetooth adapter, computer, installation disc with Bluetooth software Soleil. If you haven't installed the driver for the Bluetooth adapter, do so now. Connect the adapter to the computer via a usb connector. There are Bluetooth adapters that don't require additional drivers and are set directly when connected to the computer. Install Bluetooth Soleil. This program, usually located on your installation CD. If she was not or this disk is not available, download it from the Internet. Run the program. Turn on your headset. Start the connection mode "Pairing". In the opened window, select Bluetooth Setup Wizard. From the drop-down list to select the item I want to find a specific Bluetooth devise. Click the Next button. Bluetooth will begin to search all available devices. Check out whether the Bluetooth headset mode "Pairing". If out, then reconnect it to this mode. As soon as the screen displays the headset, press it 2 times the left mouse button. You will see a menu. At the bottom you will see the "Pin code". Enter the Pin code to connect headset ("0000" or "1234" or an arbitrary number). Then click next to Initiate the Paring. If up to this point everything was done correctly, you will see all the services the headset. If such services will have several check marks next to all items. Click the Finish button. Click "Reply" on your headset. There is also the possibility of an alternative connection, click the right mouse button on the icon for the Bluetooth connection in the system tray – then click Quick connect Head Set – Headset. To disconnect your headset from your computer, please click on the "Answer". Headphones connected via bluetooth, have quite a lot of advantages compared to conventional wired. You can move freely around the house, move away from the computer without worrying about cable length. Listening to music becomes much more comfortable. But sometimes connecting bluetooth headphones to the computer does not seem too easy. Software to headphones, and bluetooth tethering. When you purchase headphones, you also with them was to give special software that allows the computer to interact with them as an external device. If software not, then go to the manufacturers website and download the drivers and programs there. Usually, manufacturers placed a client application to their devices in public. You will need a bluetooth transmitter that will create a connection between your computer and headphones. Usually bluetooth headphones have included a device to communicate. Many computers, in particular, practically all laptops come with a bluetooth Communicator. If your computer does not support this type of connection, use the device included with the headset. For those headphones that were purchased without a bluetooth device, you need to buy it. The device transmits the bluetooth signal must be installed on the computer. Driver for it is supplied on a separate disk, and if it was bought together with headphones, the driver can be together. When the bluetooth device is installed and working properly, you can begin to actually set the headphones. To install all the device, usually you just plug a bluetooth transmitter, insert the driver disk and then follow the installation instructions that will appear on the computer screen. The program will install all the drivers that are needed for the job. If all drivers and programs installed, your bluetooth device when it is enabled, it will automatically discover headphones, but they also need to be included. The system determines the type of earphone and interface of work with them. All this time the headphones off should not be. 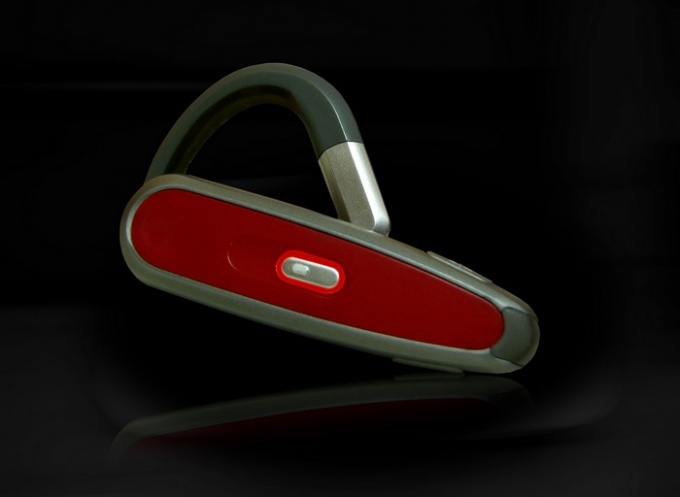 Once the definition and configuration is complete, you bluetooth headsets begin to use it. During the setup of bluetooth devices and headphones do not turn off them. Keep on at all times, otherwise the software may not be correctly installed, in the future something will not work, will begin to experience errors. Listen to music on the go loved by many young people. Earlier it was used by special players, and now they were replaced by multifunctional smartphones. 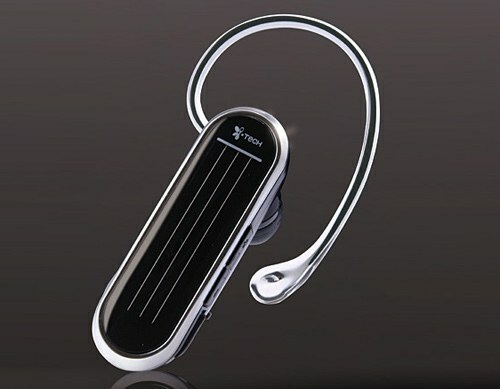 To listen to music on the go more comfortable, use BlueTooth headset. Modern mobile phone is an enviable versatility that was not available to the apparatus of the recent past. The most popular of the advanced features of a smartphone is the ability to use it as a powerful multimedia player. Listening to music, radio, watching your favorite movies saved on the memory card — the phone uses the most users. It is known that speaker phone is not designed for high-quality playback of music, although the gadget is quite capable of producing quite high quality and deep stereo sound. But the benefits of the sound quality can only be realized when the headphones or headset that is included with the factory package. This headset allows you to make calls via the hands free system, which is handy if you need to call someone, and frost on the street, or driving a car... it is possible to listen to music with high quality. But included, as a rule, wired headset, that is not always possible to consider the easy — wire constrains the movement and to some extent may restrict the freedom of use of the gadget. Much easier is to use a BlueTooth headset, you have to buy separately. Of course, if it is necessary. Buying a Bluetooth headset, you need to pair it with your phone. This will need to include it, then activate the phone BlueTooth function. Immediately after activated, the phone will automatically search for devices that will be displayed in the list view. Selecting this list the headset, you must pair it with your phone. And here user can trap a big disappointment. The headset helps with the calls but on playing music! 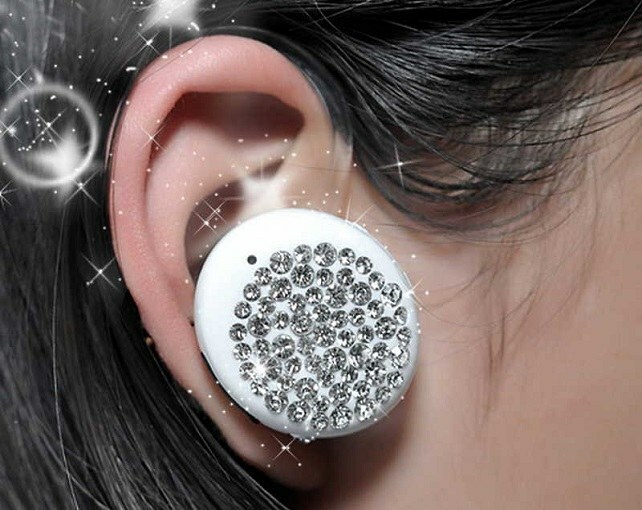 It happens when buy cheap accessory that attaches to the ear and is intended only for service calls. If you need to you can use it for listening to music, you need to look at more expensive models with two headphones that provides high-quality stereo music playback. By the way, this accessory can be used for joint work with a laptop with BlueTooth module.